Tattoos are so widely ingrained into our culture we do not stop to think of their origins. Read on to learn about a brief history of tattoos. The history of tattoos is one that is as long as the story of human civilization itself. Many of us in the modern world might see getting inked as a deeply personal marker of identity. Maybe as an act of defiance in a conformist society or something else entirely. However, tattoos have meant many other things. Since the first tattoos started appearing in the Ancient Egyptian era, the act of marking yourself has taken on a wide variety of meanings. The origin of tattoos was almost certainly noble, if not aristocratic. Markings and portraits from ancient civilizations suggest that once upon a time, only the richest and most respected members of society were permitted to get inked. Things have changed a lot since then, and the methods and meaning of a tattoo have evolved a lot since the pyramids were first built. From ancient inks all the way up to modern day tattoo trends here’s your brief rundown of the history of tattooing, to get you excited about your ink. So where did the tattoo originate? The vast majority of the earliest tattoos in existence were discovered on the bodies and portraits of ancient Egyptians. However, the practice does go back further than that. Although disputed, scientists accept that the earliest tattoo belongs to Otzi the Iceman. Otzi is a perfectly preserved body from the 31st century BC. Otzi was discovered back in 1991 by tourists, in the Alps straddling the Italian and Austrian border. The reason this guy’s ink was still identifiable is that the sub-zero conditions of that part of the Alps kept his body in a remarkable condition. Upon examination, scientists discovered a number of intricate pattern markings across his body. Although the reason for these markings continues to be disputed, one thing that is agreed on is that they are decidedly aesthetic in nature. This means that these pre-modern tattoos were almost definitely a statement of some kind, just like modern-day tattoos are. The most widely-accepted conclusion is that Otzi’s tattoos were a tribal marker of some kind. Beyond this point, a number of ancient civilizations have since been discovered to have had a strong penchant for inking. Like the ancient Egyptians, the ancient Nubian civilizations of modern-day Sudan seemed to have adorned themselves in tattoos are part of a status symbol. Why this was the case is unknown. It’s plausible that tattoo markings were a reserve of the wealthy simply because the materials required for doing so (ink) were well beyond the budget of your average Nubian farmer. The meanings of tattoos developed after the collapse of ancient civilizations. One thing we know for certain is that the entire practice of tattooing moved to Europe, particularly in the Northern regions. Tattooing in Northern Africa and the Middle East seems to have completely ceased as a practice by the time the Middle Ages rolled about. The history of tattooing seems to have taken a more spiritual turn at this point. In Northern Europe and Italy, tattoos seemed largely to have been a marker of religious fervor. Christian sects, in particular, had an affinity for ink. Some smaller sects near the alps have been recorded as having head-to-toe markings as a sign of their religious devotion. The Pope eventually banned the practice of tattooing altogether in the 9th century. After that point, the practice seemed to have moved eastwards. It also took on different meanings as it did so. 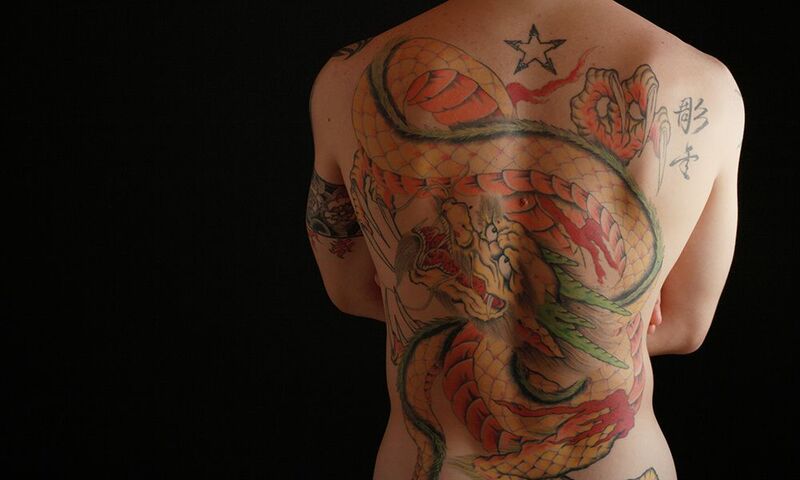 In medieval Japan and China, tattoos were used as a form of punishment. Criminals received tattoos on their face and arms to mark them out as a danger to society. This discovery has led to more questions than answers. It has since been posited that Japanese societies in ancient times actually wore tattoos as a symbol of power and privilege. The modern age, from the 18th Century onwards, has seen a return to tattooing as a deeply personal, aesthetic choice. In the world of fashion, it is widely rumored that the taste-makers of 18th C. London brought tattooing back into the Western mainstream. Throughout the 1700s, the famous British explorer Captain Cook took a series of expeditions to the South Pacific. There he encountered the islanders of Polynesia, who wore distinctive markings of their tribes, hobbies and even their love interests. Once Cook brought his findings back to London, high society was fascinated. Before long, small tattoos in the most discrete of body parts became all the rage with the hip and happening. After that point, tattooing became more normalized in the Western world again. By the time the Victorian era had rolled about, all spectra of society were getting inked on the regular. In the less reputable neighborhoods of London, Boston, Paris, and Naples, a tattoo signified your gang loyalty. It could also represent the slum you belonged to. On the more gentle side of the class divide, young Victorian couples were beginning to get couples tattoos as a declaration of love. This is a practice which still persists to this day. Tattooing didn’t cross into the mainstream until after World War Two. Even as late as the 1930s, tattoos were associated with “criminals, circus freaks and sailors”. However, some of the biggest cultural icons of the wartime period soon began sporting ink. At the same time, the widespread tattooing practices of pinup girls even normalized it for women. After that, the rest is history. Today tattoos are worn by a full 21% of the entire global population. Tattoos are used to declare a love, commemorate an occasion, swear allegiance or just to look cool. Tattoos are a mainstream part of human fashion, with endless possibilities. Hopefully, this history of tattoos inspired you to take the leap and get your own ink. If you want to follow in the steps of your forebearers and get your first tattoo, get in touch with us today to arrange a high-quality, affordable piece of body art.